Melbourne Naturopath, Nutritionist, Herbalist and Paediatric Nurse, Kathryn Arnel uses evidence based natural medicine in combination with Functional Medicine to help you gain optimal health and healing. Your health is dependent on a complex interaction between genetics, diet, lifestyle and environment, as well as physical, mental and emotional factors. As a Naturopath, Kathryn treats the whole person, taking all these factors into consideration. 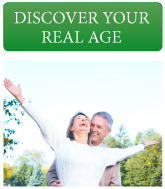 If you want to feel better, resolve health issues, become healthier, understand your health more fully and age healthily, then Melbourne Naturopath, Kathryn Arnel can help you. ...."After receiving a Live Blood Analysis and treatment from Kathryn she had found that I had high levels of inflammation in my tissues, among other factors. I was given nutritional advice and recommended natural supplementation for my diet and through Kathtyn for the first time I learned about the benefits of an alkaline diet. I had been a professional ballet dancer for over 15 years living in Hong Kong surrounded by pollution and stress on a daily basis and inevitably my body would suffer from this type of exposure. Kathryn has played a major role in the maintenance of my ongoing excellent and consistent level of health and wellbeing! Thank you Kathryn ".... STEVEN R.G. BREMNER Certified Rolfer for Structural Integration (U.S.A/australia). Certified Practitioner of Touch for health Kinesiology. (U.S.A) Certified Reiki master/teacher. Founder /creator of Stretchrelease Movement Integration Therapy. Your body has an innate ability to heal itself. This inherent, vital and curative force, the body's innate intelligence, is always striving towards health. Given the right conditions the body will heal and thrive. When we cut ourselves the body sets into motion a cascade of elements to heal that cut. This is the life force that regulates our ability to heal ourselves. As a Naturopath I understand, respect and support the body’s efforts of self healing. 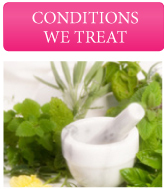 What conditions can a Naturopath treat? 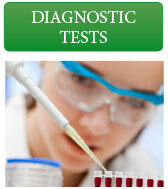 This is an exciting time to be involved in natural medicine. 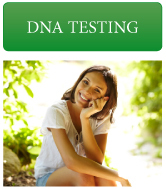 The new and ground breaking fields of Nutrigenomics and DNA Profiling combined with Functional Medicine and Naturopathy allows for treatment of your health conditions that is unique and specific for your health care needs. Your health is important. Taking a Naturopathic approach enables you to regain and maintain an optimal level of health and wellbeing. Please phone Melbourne Naturopath, Kathryn Arnel (03) 98884119 to arrange an initial consultation to begin individualised treatment for your condition.